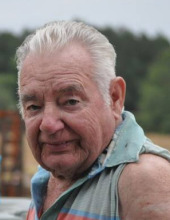 Celebrating the life of William O. Boatright, Jr.
Obituary for William O. Boatright, Jr.
William O. Boatright, Jr., 85, of Kaufman, TX passed away on Sunday, March 19, 2019 in Dallas, TX. W.O was born in Oak Park, GA to William O. and Cynthia V. Boatright on August 11, 1933. W.O moved to the Dallas/Ft. Worth metroplex in the 50s and to Kaufman in 1971. He was a diesel mechanic for 50 years working for Red Ball and Ryder. He was a member of the Masonic Lodge Bloomfield 112 in Kaufman, TX and was a 33rd degree mason. In his spare time he loved to hunt, fish and play shuffleboard. He was also a good cook famous for his hush puppies, cookies, fish fry’s and chili cook offs. W.O. was preceded in death by his parents, wife Mary Boatright and son Randy Boatright. Those left to cherish his memory are brother Cecil Boatright and wife and Dana of Cobbtown, GA, sisters, Virgina Kimmer of Apopka, FL and Buelah Eubanks of Atlanta, GA, daughter-in-law, Debbie Boatright of Savannah, GA, grandchild Tiffany Perry and her kids Jacob and Grace who live in Savannah, GA and numerous extended family and friends who will miss him dearly. The family will receive friends at 1:00 p.m. on Saturday, April 13, 2019, at the Metter Chapel of Kennedy-Brannen Funeral Homes. Memorial funeral services will follow at 2:00 p.m. from the Metter Chapel of Kennedy-Brannen Funeral Homes with Rev. Jerrald Dorr officiating. Burial will be a later date. Kennedy-Brannen Funeral Homes, Metter Chapel is in charge of arrangements. To send flowers or a remembrance gift to the family of William O. Boatright, Jr., please visit our Tribute Store. "Email Address" would like to share the life celebration of William O. Boatright, Jr.. Click on the "link" to go to share a favorite memory or leave a condolence message for the family.